It is July 2008 and I am sitting beside a bed that holds the dying body of my mother. We are in a public ward at an outer-metropolitan, Melbourne hospital. My mother is conscious but she cannot speak. I am nursing mum’s copy of The Victorian Readers: Sixth Book. This book has my brother’s name inked into the sturdy cloth-bound cover. Inside the cover, at the top of the free endpaper, is my mother’s name, written in neat capital letters. Beneath it, my brother has re-asserted his ownership, but my childhood script overwrites his ‘Tony’ and shifts possession to ‘Tessa’. This is a book that has dwelt with my family for over 80 years. In the hospital ward, I ignore the other patients; I block out the errant punctuation of feet and wheels. I open the book and start to read out loud. I take mum back to Wordsworth’s ‘host of golden daffodils’, to Longfellow’s ‘spreading chestnut-tree’ and Tennyson’s delicately whorled seashell. We share the journey of Kingsley’s ‘Tide River’ as it hurries towards ‘the golden sands, and the leaping bar’, exhorting us at its end: ‘Play with me, bathe in me, mother and child’. Aside from the British luminaries, the Sixth Book includes a solid smattering of Australian-authored stories and poems. Together, with my voice and her mind’s eye, mum and I re-visit Henry Lawson’s still crazily-funny ‘Loaded Dog’ and Banjo Paterson’s whimsical ‘Clancy of the Overflow’. We listen to Kendall’s creek falling in the dim gorges and we pause at Gordon’s melancholy ‘There are lights behind the curtain—Gentles, let us rest’. We re-discover, too, some Australian women’s voices—Louise Mack, Mary Grant Bruce and Marie Pitt among them. But, first and foremost for mum, is Dorothea Mackellar. Mackellar was born in the Sydney suburb of Point Piper in July 1885. According to the Australian Dictionary of Biography, her youth was ‘highly civilized’ and she ‘moved easily’ between ‘Sydney’s intellectual and administrative elite, life on her family’s country properties, and among their friends in London’. 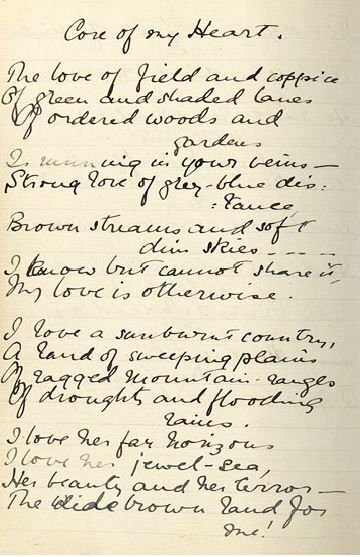 It was while visiting England that the young Australian committed her feelings of homesickness to paper in the form of the poem ‘Core of My Heart’. First published in the London Spectator on 5 September 1908, the poem soon began appearing in Australian newspapers like The Sydney Mail. Three years later, it was included in Mackellar’s The Closed Door and Other Verses, under the now-familiar title ‘My Country’. Mackellar opens her poem with a gentle description of the English countryside, tinted with ‘green and shaded lanes’, a ‘grey-blue distance’, and ‘soft dim skies’. But at the start of the second stanza, she declares: ‘My love is otherwise. I love a sunburnt country’. On that July day in 2008, I recited the poem that gave expression to one of mum’s abiding passions—her deep affinity with ‘the wide brown land’, its ‘far horizons’ and ‘jewel-sea’. Mum had grown up on Port Phillip Bay, in the seaside suburb of Mordialloc, in the years immediately following World War I. Her father, an AIF staff sergeant, had returned from the war with lungs full of gas and he died when mum was in her mid-teens. The family struggled financially, and mum—I imagine with reluctance—traded school for work. From her curtailed education, she took a copy of the Sixth Book. It was with her to the end. In 1928, the Victorian Education Department began publishing a series of school readers; there were eight in all. The preface to the Eighth Book explains that the selection committee looked for items that ‘possessed literary merit, were informative [and] were likely to arouse interest’. Young readers were to ‘begin at home’ and then ‘be taken in imagination to various parts of the Empire, to Europe, and to the United States of America’. In addition to imparting ‘a well-founded pride of race’, the books’ inclusions were to inculcate ‘sound morality’, and support ‘the creation of a feeling against international strife’ and ‘the implanting of a desire for world-wide toleration’ (The Victorian Reading-Books: Eighth Book. 2nd edn. Melbourne: H. J. Green, 1929. pp. v-vi). 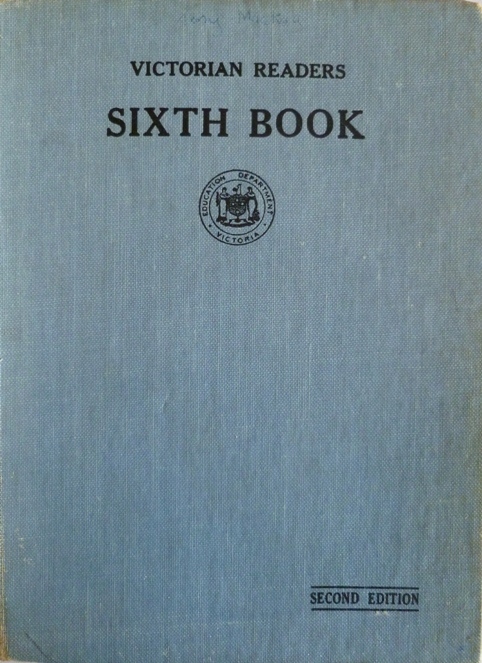 The Victorian Readers: Sixth Book. 2nd edn. Melbourne: W. M. Houston, . Moore, May [photographer]. 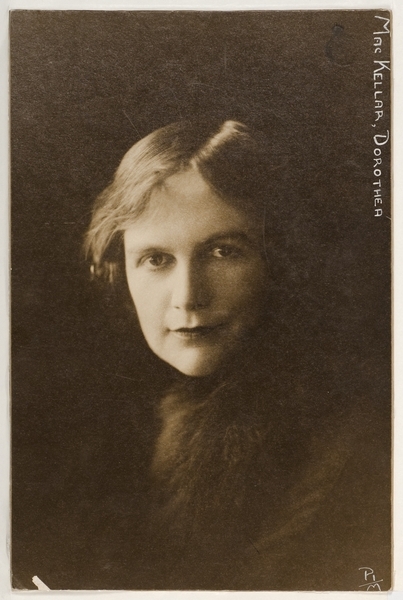 Dorothea Mackellar, writer, 1927. Mackellar, Dorothea. ‘Core of My Heart.’ The Sydney Mail. 21 October 1908, p. 1056. Mackellar, Dorothea. ‘Core of My Heart.’ [manuscript]. Held within ‘Verses 1907-1908’. State Library of New South Wales. Box 16. Item IV/C. Manuscript Safe 1/117, Item 1, pp. 93-95. Kingston, Beverley. ‘Mackellar, Isobel Marion Dorothea (1885–1968).’ Canberra: Australian Dictionary of Biography, 1986. Tatton, Marcus, and Futago and Chris Viney. ‘Wide Brown Land.’ Corten steel. National Arboretum, Canberra. Commissioned 2010. For further background on the school readers and their place in the education of Victoria’s children, see: Bradford, Clare. ‘The Victorian Readers.’ AustLit. 2008. For a personal reflection on the school readers, see: Kearney, Karen. ‘Victorian School Readers.’ 2010.